Countdown to 2019 at The Durham Museum! 3, 2, 1….Happy “Noon” Year! 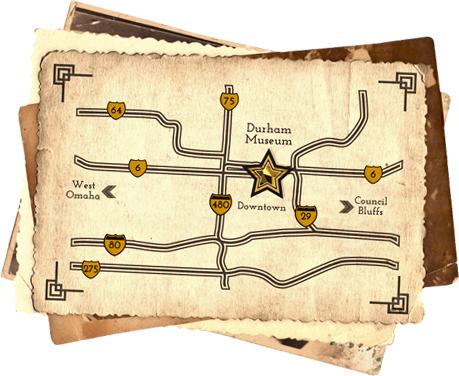 The Durham Museum will host its annual Noon Year’s Eve celebration on Monday, December 31st from 10AM-2PM. Guests will get an early start to their New Year’s celebration at this family-friendly event. Entertainment will include live music by Dinosaur “Dino” O’Dell and the T-Rex All-Stars. Create your own party hat and wishing wand, participate in a museum-wide scavenger hunt, plus grab your friends and our fun props to make a memory in the 2019 photo booth. The party will end with a bang, when guests do the bubble-wrap stomp and balloons drop from the Suzanne and Walter Scott Great Hall’s 60 ft. ceiling. (We have DOUBLED the amount of balloons this year!) And no New Year’s Eve party is complete without a dance party! Regular museum admission applies. Event is FREE for members of the museum. Entry will be available on the main and lower levels. OVERFLOW PARKING: will be available in the Conagra Brands parking lot parking garage, upper deck, at 7th & Leavenworth Streets, with free shuttle drop-off at the museum.